Opioid abuse has swept the country, taking many lives along its path from coast to coast and in between. No one is safe abusing opioids. These painkilling drugs often lead to addiction, which requires rehab treatment for lasting sobriety. Today’s accredited rehabs sometimes offer help through medication assisted treatment, using medications like Suboxone and Sublocade. The FDA approved Suboxone to help people end opioid addiction. This drug enables medication assisted treatment in detox, making detox symptoms easier to manage and far more bearable. Many people gain quick sobriety and move onto rehab in good time, thanks to Suboxone. Of course, medication assisted treatment alone does not cure addiction. For a real chance of long-term sobriety and safety from relapse, you need therapies, support, and education in addiction rehab. Suboxone contains buprenorphine and naloxone. These two drugs work through a tablet or film you place under your tongue. The film dissolves and allows the drug to enter your bloodstream. Either method of using Suboxone helps relieve your cravings and withdrawal symptoms. 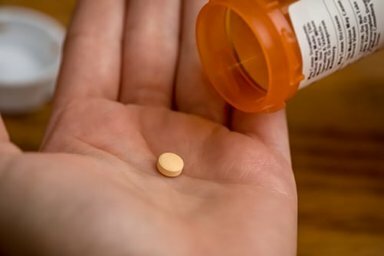 At the same time, your opioids no longer work if you abuse them. The medication blocks euphoria and other effects of the high from taking place, at all. Like Suboxone, the FDA approved Sublocade for opioid addiction treatment. This medication helps moderate to severe opioid addiction. You gain prescribed Sublocade for once-monthly injection. This injection contains buprenorphine, one of the ingredients of Suboxone. Also as with Suboxone, Sublocade helps you end your physical addiction to opioids. The medication keeps the worst symptoms of detox from affecting you. You do not have to use a daily pill, so it is an easy medication to maintain and works well to prevent your opioid high. Do Suboxone and Sublocade work? Suboxone and Sublocade help you reach your goals in detox and rehab. But you need therapies, support, and education of rehab to succeed with sobriety. Without these essential elements of accredited treatment, you only return to drug abuse. Studies prove buprenorphine works to help you through opioid withdrawal symptoms. It takes away your desire to use your drugs, also making the high impossible to gain. So using this medication in either Suboxone or Sublocade helps you focus on your therapies in rehab, instead of suffering cravings and other intense withdrawal symptoms. For either Suboxone or Sublocade treatment, you need an accredited detox center offering these opioid addiction medications. Morningside Recovery of Orange County, CA provides this treatment. Morningside Recovery holds accreditation from both the Joint Commission and CARF, so treatment works. Experiential, holistic and adventure therapies of Morningside Recovery provide many ways for you to learn about yourself and your addiction. You gain coping skills and life skills throughout your rehab treatment, preparing you for your new life in sobriety and preventing relapse. Behavioral therapies, individual counseling, group therapy and family therapies ensure you fully understand your addiction problems, what caused your substance abuse in the first place, and how to ensure lifelong wellness. All of Morningside Recovery’s addiction detox and rehab services take place in Orange County. This opioid addiction treatment program in CA offers a means for your successful start of a new life. Through supervised detox, Suboxone or Sublocade medication and a wide array of therapies, you can build a new life in sobriety. Call Morningside Recovery in Orange County now at 855-416-8202. Learn about our medication assisted treatment and how it can help you to begin making better choices, every day.